To commemorate the 20th anniversary of the Banyan Tree Bangkok, the team at the hotel has shared their top 20 reasons why Bangkok remains one of the most vibrant cities in the world. 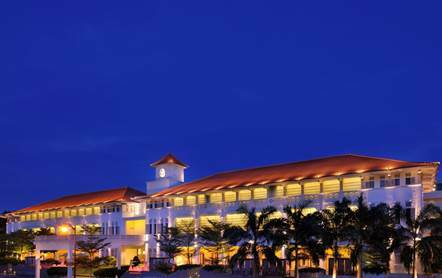 They’ve also launched an exclusive package that will run until 22 December 2016, inclusive of limousine transfers, complimentary cocktails, spa discounts and more. As one of Southeast Asia’s most enigmatic cities, Bangkok embraces both the traditional and modern in one exciting destination. From historical landmarks to majestic skyscrapers, top-class restaurants to traditional Thai street food, the contrasts of this city never ceases to astound and amaze. 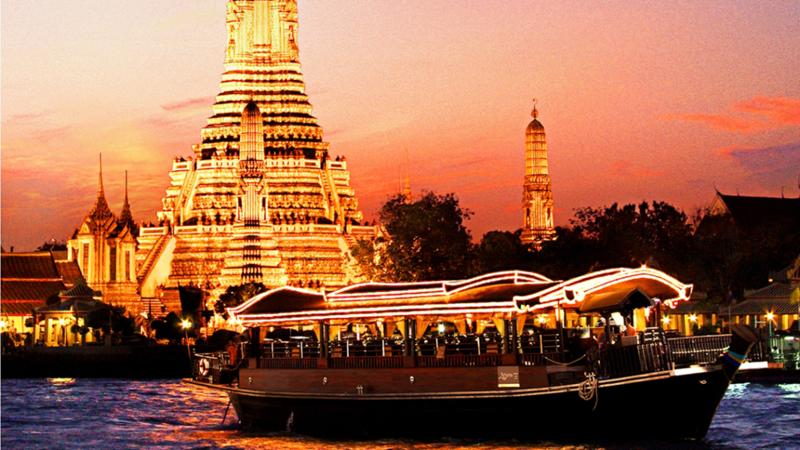 Start with a visit to The Grand Palace, undoubtedly one of the city’s most famous landmarks. The expansive complex not only includes the former residence of the Thai monarch, but is also home to Wat Phra Kaew, the Temple of the revered Emerald Buddha. The Golden Mountain(“Phu Khao Thong”) is also well worth a visit. As one of the tallest structures in Bangkok, it allows for some of the most stunning panoramic views of the city. The Rattanakosin Exhibition Hallbrings to life the story of Thailand’s rich history through a combination of multimedia and interactive displays. Jim Thompson’s houseand its lovely garden-enclosed compound featuring an arts centre, souvenir boutique, and traditional teak houses reflective of unique Thai architecture. Thai Cooking Classeshave also become a must. Learn to prepare popular dishes such as Tom Yum Goong, Som Tum and Gaend Kiew Whan Gai with lessons conducted at Banyan Tree Bangkok. Siam Square shopping districtis the central shopping area for both locals and travellers alike. Here you will find everything, from renowned high-end brands to boutiques of independent traders. For a distinctive shopping experience, explore the Train Night Market Ratchada – Talad Nud Rod Fai. It sets itself apart from other bazaars by touting only the hippest and trendiest wares at competitive prices. Or stick to the tried and tested route with a visit to the famous Chatuchak weekend marketboasting more than 8,000 market stalls. Travellers will find no shortage of inexpensive and delightful Thai foods along the streets of Bangkok. One of the most iconic street food locations is Chinatown – Yaowaratwhich offers a wide array of authentic Thai hawker fare. For a unique gastronomic experience, head to Apsara Cruise, a vintage-style rice barge that sails along the majestic Chao Praya. Aboard the vessel, you will be treated to an exclusive selection of Royal Thai cuisine, courtesy of Banyan Tree Bangkok. Saphan Leung – Yellow Bridgeis also famous for its Anaharn Tham Suan (made-to-order) stalls selling noodle and seafood dishes. Let Vertigo and Moon Bar, located on the 61st floor of Banyan tree Bangkok, awe you with a unique alfresco dining experience and stunning panoramic views of the urban landscape. Immerse yourself in the action of the most popular sports in Thailand –Kickboxing or Muay Thai, by catching a live match or two in any of the stadiums littered throughout the country. Take a Longtail Boat Canal Klong Tourand explore the ancient waterways of Bangkok and the communities that still live along them. When day turns into night, ride a Tuk-Tuk or Sam Lor(three-wheeled taxis) to explore the buzzing metropolis. Treat yourself to a revitalising massage at Banyan Tree Spa, one of the largest and most luxurious spas in Bangkok. Take a stroll around Lumpini Park, a green oasis in the middle of the city. Visit Baan Silapin – Artist’s House, a two-hundred-year old dwelling that serves as a great escape from the hustle and bustle. 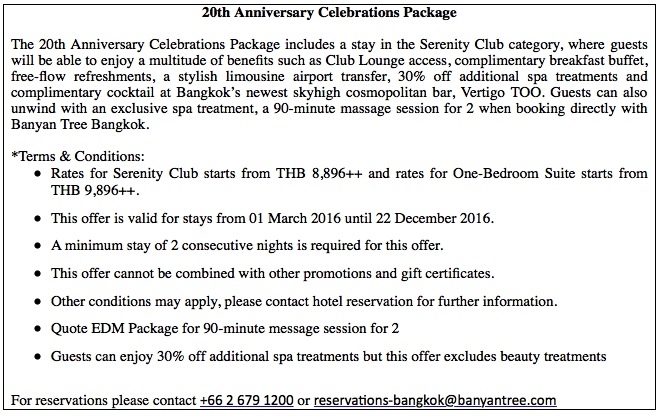 Book with Banyan Tree Bangkok and enjoy the lavish offerings of the 20th Anniversary Celebrations Package. Banyan Tree Bangkok, the city’s only 5-star all-suite hotel celebrates its 20th Anniversary in August 2016. As an icon of urban tranquillity, the hotel, conveniently located in the Sathorn/Silom area, combines the finest in luxury accommodation with world class dining experiences, rejuvenating retreats and some of the best views of the city.